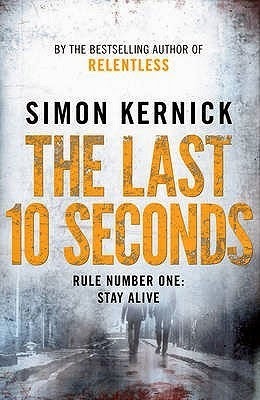 Over recent years Simon Kernick has rapidly established himself amongst the upper echelon of contemporary British thriller writers. His earlier novel Relentless was the best-selling thriller in the UK in 2007, and now he’s back with another riveting read. The Last 10 Seconds opens with rogue undercover cop Sean Egan bleeding on the floor of an abandoned building, surrounded by bodies, before flicking back in time to trace the build-up to the violent confrontation. Egan is one of three main characters who find themselves entwined in this furiously-paced tale; the others being Andrew Kent, arrested on suspicion of being vicious serial killer the Night Creeper, and troubled DI Tina Boyd of Camden’s Murder Investigation Team. Kent claims he has an alibi for one of the murders, and some highly important information that someone may be willing to kill for. Then he is kidnapped right from under Boyd’s nose, by the gang Egan has infiltrated. Despite the rip-roaring plot and action, Kernick also layers in a few nice touches in terms of character and setting, taking The Last 10 Seconds a notch above the standard ‘airport thriller’. A fast, fun read that will leave you wanting to read more of Kernick’s books.